3. 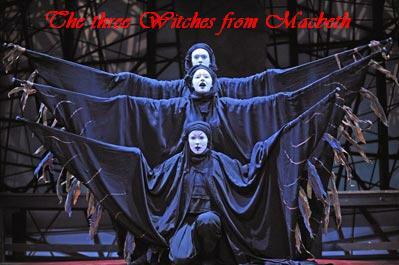 The three witches from Macbeth are probably my favourite characters in all of Shakespeare’s texts. You could say their role is insignificant and minute, but from a literary perspective, they rule the play Macbeth by foreshadowing all that is to happen. They are also both the opening and closing acts of this play. Plus, this is where the most classic lines ever spoken by witches come from. First Witch: Thrice the brinded cat hath mew’d. Second Witch: Thrice and once the hedge-pig whined. Third Witch: Harpier cries ‘Tis time, ’tis time. It seems most witches in other tales stem from these three. Such lines as “In the Cauldron boil and bake; / Eye of Newt, and Toe of Frogge, / Wool of Bat, and Tongue of Dogge, / Adder’s Fork, and Blind-worm’s Sting, / Lizard’s leg, and Howlet’s wing, / For a Charm of powerful trouble / Like a Hell-broth boil and bubble ,” seem to have been used countless times in our plays, movies and books (hello Harry Potter!). 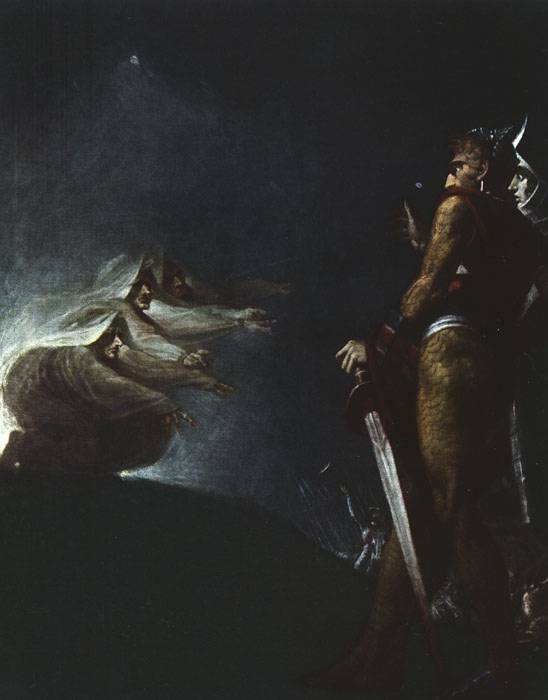 Artists and costume designers have interpreted the witches in many ways, but the most consistent costume seems to be long, white flowing hair and bodies covered with a long, black flowing cloak, sometimes with a hood. So if you are a party of three this Halloween night, try this costume out (and don’t forget to speak in verse!). If you happen to have an extra male on hand, make him your Macbeth and torment him throughout the night! Posted on October 14, 2010 October 10, 2010 by LN	This entry was posted in Halloween, Shakespeare and tagged Costume, Halloween, Halloween costume, Macbeth, Witch costume, witches from macbeth costume. Bookmark the permalink.